Creating a positive business model that continues to grow and reap great financial rewards is in part due to the kind of customers you attract and whether or not you can sustain them. In order to develop a great sense of customer care, you need to spend time nurturing the customer-retailer relationship and encouraging any staff you may have to do the same. Creating a genuine sense of customer satisfaction and loyalty can help your business succeed where others fail. The collectibles business can be a fairly seasonal business unless you constantly attract new business and keep the customers you already have happy. There are a variety of ways to do this and anyone serious about a successful collectibles business should consider them. There are a number of fundamental rules that you as a retailer should strive to follow in order to create a great sense of customer satisfaction and loyalty in your business. Listen to the Customer – Taking time to truly listen to your customer can make them feel that you genuinely care about their needs. Concentrate on what they’re saying and try to offer them a solution to any problems them may have. Ideally, if you’re able to almost preempt their needs, by offering alternatives to what they want or ways of getting them the item they desire, you will impress your customer and they’ll feel special and appreciated. One of the areas that customers most appreciate a good salesperson is when they’re able to give them undivided attention. Never look around your store at other possible customers when you’re engaged in a conversation with an individual. It will look like you’re not listening or paying attention and can give the wrong impression. Make Customers Feel Important – If you are able to get your customers name without sounding cheesy, do so. 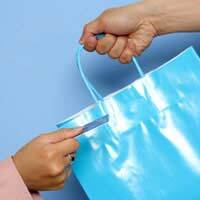 Customers appreciate retailers who take time to get to know them personally. It makes them feel important and if you remember their name the next time you see them, they’ll be pleased that you value their custom so much. Thank them and use their name whenever it seems appropriate, although be aware that overusing this can make you sound insincere, so judge it wisely. Always Try to Say Yes – If your customer has a reasonable request, try and say yes to them. In most cases, items that customers want can be found someplace, so let them know that yes you will do your best to get them it and yes, if you can it will be theirs. Staying positive when faced with difficult requests for rare and limited collectibles makes your customer see that you’re trying to please them and want their custom. Appreciate Customer Feedback – As difficult as it may be, from time to time it’s extremely important to ask your customers for feedback. If you aren’t comfortable doing this face to face, put out a form that they can fill in if they choose to. You’ll learn a lot from customer feedback and you could even persuade them to take part by offering a prize draw or a raffle ticket to those who fill in the form. In order to continue building your collectibles business, you need to not only provide a high level of customer care to existing patrons, but also encourage new business through the door. A great way of showing your new customers that you care is by offering them a discount on their first purchase and employing all of the techniques listed above to make them feel welcome. If your staff are well trained in respecting the customer and understanding their needs, you’ll find that word of mouth will bring new customers in through the door and you will be valued by them. New customers often come in just to check out a business and perhaps be nosey, if so, give them the chance to look around and view your products, but always be on hand if they need help and offer them help on arrival. Try not to be pushy, this can put off potential customers, so maintain a professional distance and seem available to them.